For district, see Lodhran District. For other uses, see Lodhran (disambiguation). 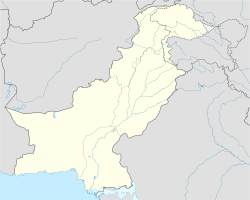 Lodhran (Urdu: لودهراں‎), is a city and the capital of Lodhran District in the Punjab province of Pakistan. It is located on the northern side of River Sutlej. As well as being district capital, Lodhran is the administrative centre of Lodhran tehsil, which is subdivided into 28 Union Councils. Rana Arif Kamal Noon, former Chairman Executive, Punjab Bar Council. Prof. Dr. Muhammad Ashraf Malik, Founder, Lodhran University Movement. This page was last edited on 5 August 2018, at 19:14 (UTC).